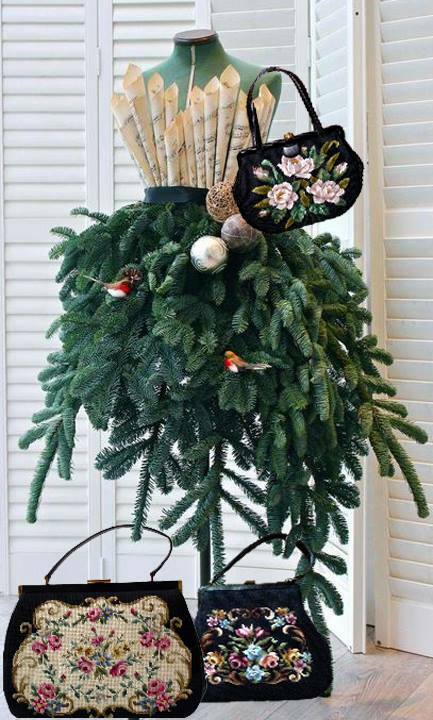 People are so creative especially this time of year. My goodness, the wonder and beauty that is going around out there in cyberspace for all to see and enjoy. It's a treasure trove! So many lovely photos and paintings are being turned into GIFs this year with that lovely snow falling. Isn't it just so cozy -- it certainly adds that Christmas feeling, don't you think? And while some folks are creating lovely snowy GIFs, there are some among us who are sharing their artistic endeavours from the kitchen. Looking at this toothsome concoction above, it would make Julia Child smile -- for it would certainly turn any casual meeting into a Party! This cakes should be saved for Something Really Special ... to celebrate Someone Really Special. 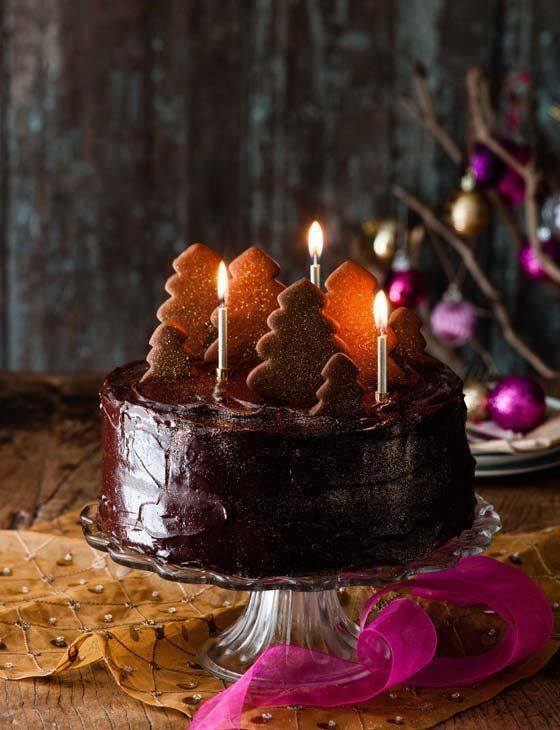 Turn down the big lights and carry this lovely cake into your celebrations on Christmas Eve. Watch eyes light up. And, this one ... well, it's just plain fun, wouldn't you agree? Who would have thought that rolled sheet music would create such a lovely bodice. And those boughs such a sassy skirt. Love it! Well, dear beautiful friends, these are a few of my favourite beauties this week -- I hope they delight you today as they have me. On that note, I'm wishing you a beautiful day, liberally sprinkled with joy, and with a welcoming light when you get home today. Don't forget to laugh. Smile. Hug. Hold hands. a true delight. thank-you for your beautiful place in blogworld! What a lovely post. Thank you for sharing the beauty with all your readers. It brought smiles as I read. Have a lovely day. How beautiful - thank you! Lovely images you've shared. Those GIFs are so beautiful. I want snow for Christmas, but am most unlikely to get it. And that's okay, too. Beautiful post! I am so enjoying your blog and blogging is new to me. If you have a chance, visit me. michaelslambiotte.com and my post is Maison De Jardin.